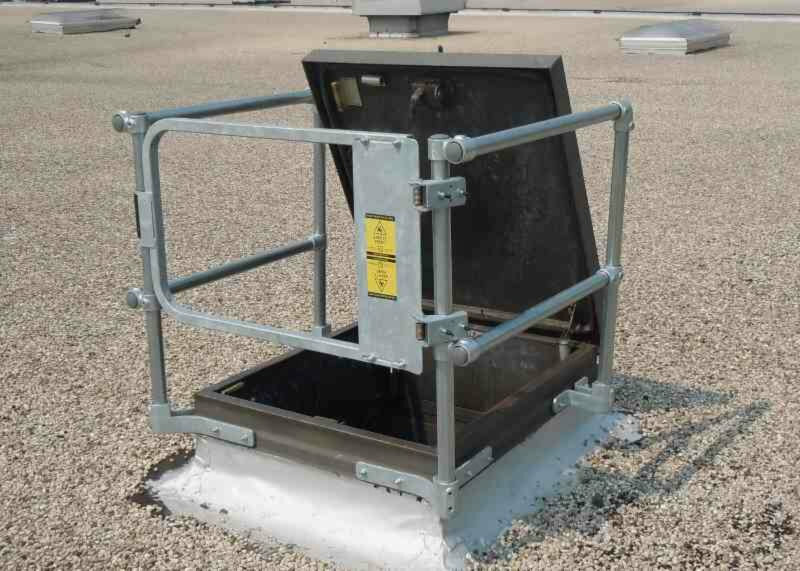 Rooftop railings are usually non-penetrating to prevent roof leakage. 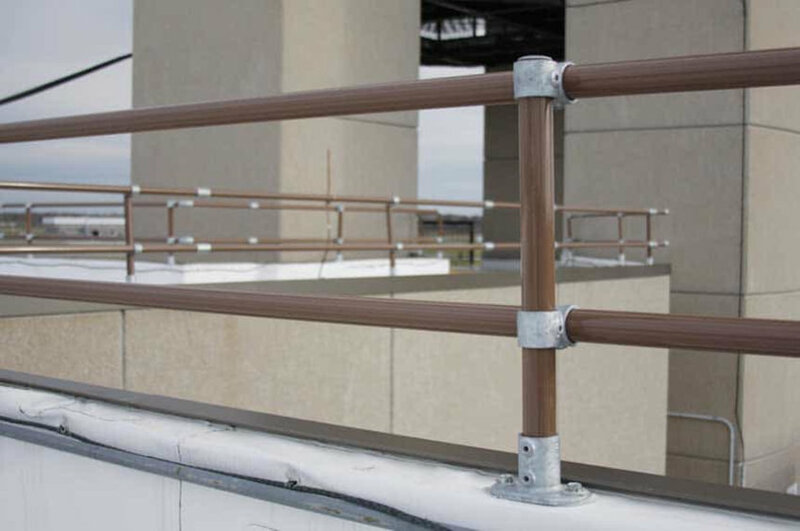 Most of our roof railing solutions are designed to be easily assembled on the roof surface without penetrating the roof membrane. 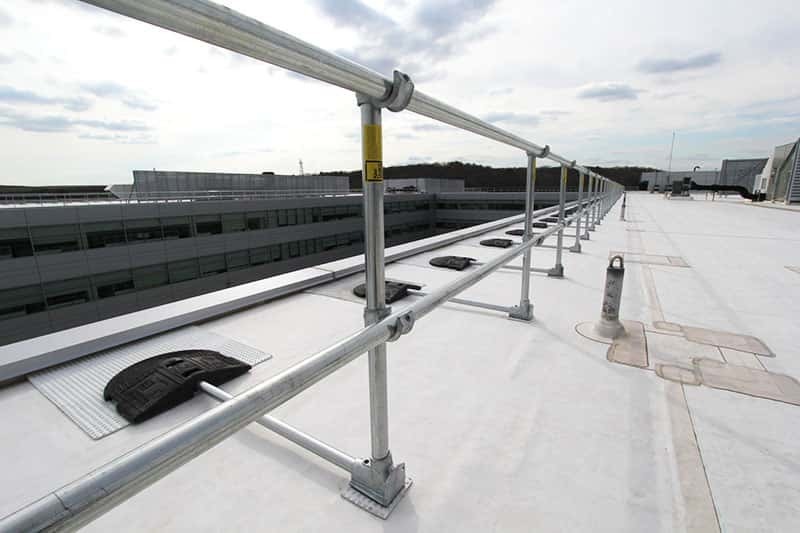 KeeGuard is a freestanding roof railing system that does not penetrate the roof membrane. KeeGuard Metal Roof Railing is a unique railing system for standing seam metal roofs system that is OSHA compliant. Temporary railing that is portable, reusable, meant to be used for construction. 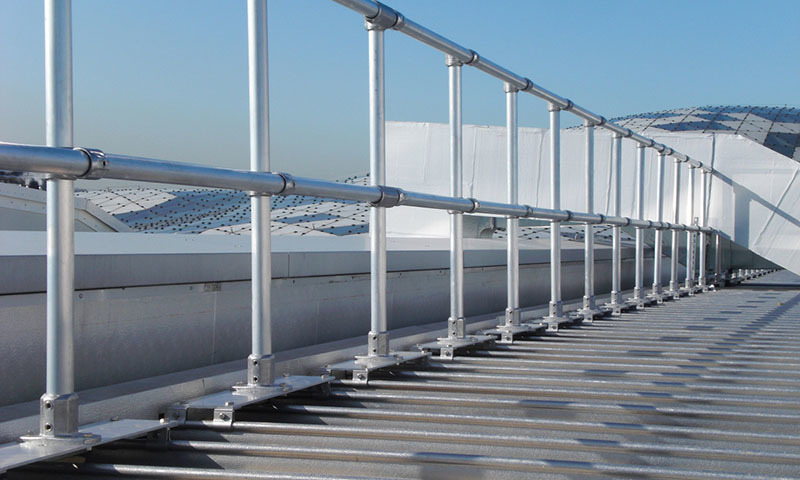 Portable roof railing systems use weighted bases to create a permanent or temporary railing system. This system does not require any hardware connections. 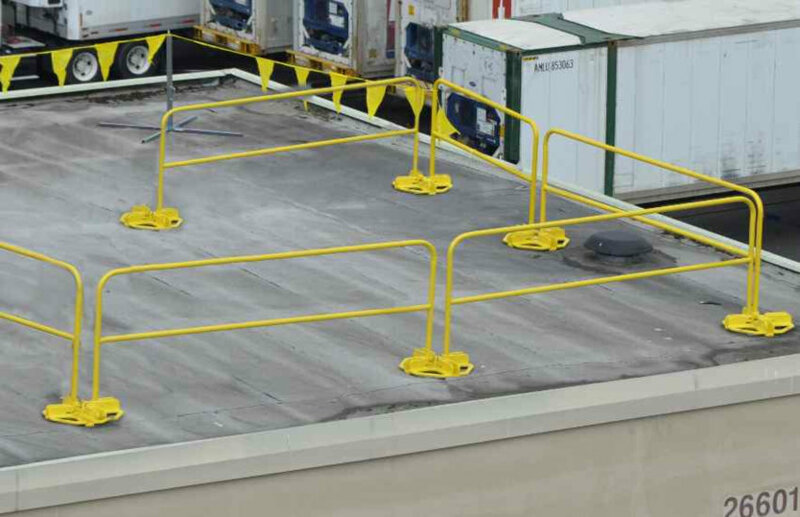 Mounting a roof railing directly to the top of a roof parapet is a cost-effective way of providing rooftop perimeter fall protection. Is the Guardrail OSHA Compliant? OSHA's requirements for guardrail can be found on the OSHA website. We have a quick reference guide below for keeping your guardrail compliant. The top rail is 42" tall from the walking surface. The middle rail is half way between the top rail and the walking surface. The rail is able to withstand a 200 lb. force in a downward or outward direction. * It is important to note that you should always follow the manufacturer's installation instructions. Do You Need a Permanent or Temporary Guardrail? 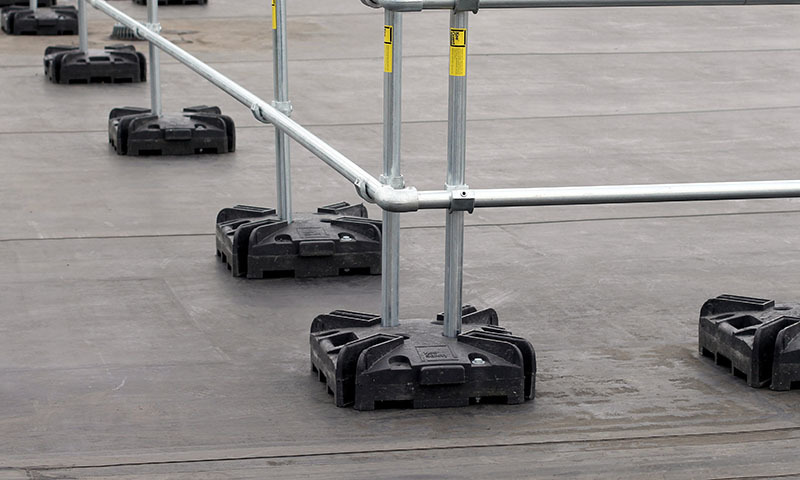 Permanent and temporary guardrails have their place on your rooftop. It is important to select the appropriate guard railing for your scenario. How often are people accessing your roof? Do you have concerns about longevity? Our team of Fall Protection Specialists are here to help.